In Satanic Verses (1988), Salman Rushdie wrote, "Now I know what a ghost is. Unfinished business, that's what.” (n132) In this review, I suggest John Staddon's scholarly work, The New Behaviorism, Second Edition (hereafter TNB)is an effort to come to terms with his unfinished business, the legacy of the Burrhus F. Skinner he wishes had existed rather than the one that actually did. Staddon’s TNB provides an alternative vision of what behavior analysis might have been had B. F. Skinner been a different scientist. 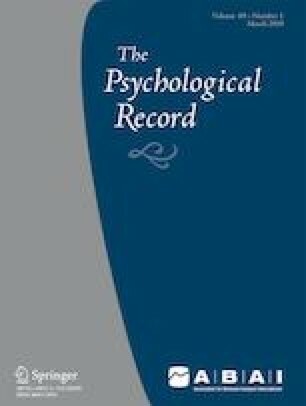 The Skinner who shaped modern behavior analysis was the author of Behavior of Organisms (1938), “The Operational Analysis of Psychological Terms” (1945), and Verbal Behavior (1957), rather than a more modest theorist of the sort Staddon critically discusses in this update of his 2001 New Behaviorism book. “Skinner’s nonsensical [Sic] objection to theoretical concepts. . . .” (TNB, p. 12). In referring to Skinner’s earlier work, Staddon described it as “a story of insight and happy accident” (TNB, p. 30). Accident? Staddon describes Walden Two as “cryptototalitarian” (TNB, p. 126). In discussing Walden Two, Staddon refers to Skinner as the “philosopher king” (TNB, p. 131). Throughout the book, in referring to Skinner’s contributions, Staddon briefly presents one of Skinner’s ideas, then immediately belittles it. Near the book's conclusion (p. 272), one of the final impressions of B. F. Skinner with which Staddon leaves the reader is: "[he] made at least two great discoveries in his analysis operant behavior. One was hardly original at all; yet it is the one for which he has gotten the greatest credit—and he himself thought was most important, namely the principle of reinforcement. But humanity knew about carrots (though they were usually paired with sticks) for countless generations before Skinner came along. And as we have seen, even reinforcement learning was experimentally demonstrated, and epitomized in The Law of Effect by Thorndike, sometime before The Behavior of Organisms." Staddon seemed unable to acknowledge Skinner’s contributions without begrudging qualification and ridicule. Falk, J. L. (1977). The origin and functions of adjunctive behavior. Animal Learning & Behavior, 5, 325–335. https://doi.org/10.3758/BF03209574. Lisska, A. J. (2013) Human rights theory rooted in the writings of Thomas Aquinas. Diametros, 38, 134–152. https://doi.org/10.13153/diam.38.2013.542. Shakespeare, W. (2016). Hamlet, The Tragedy of the Prince of Denmark. Act 1, Scene2, Lines 272-3; Internet Shakespeare Editions, edited by David Bevington, modern ed., University of Victoria. http://ise.uvic.ca/Library/Texts/AYL/M/default/. Accessed 11 Mar 2019.